Description Photo in the History of the Methodist Church scrapbook; loaned by Helen Grigg. (Appears to be a photocopy of a color photo. 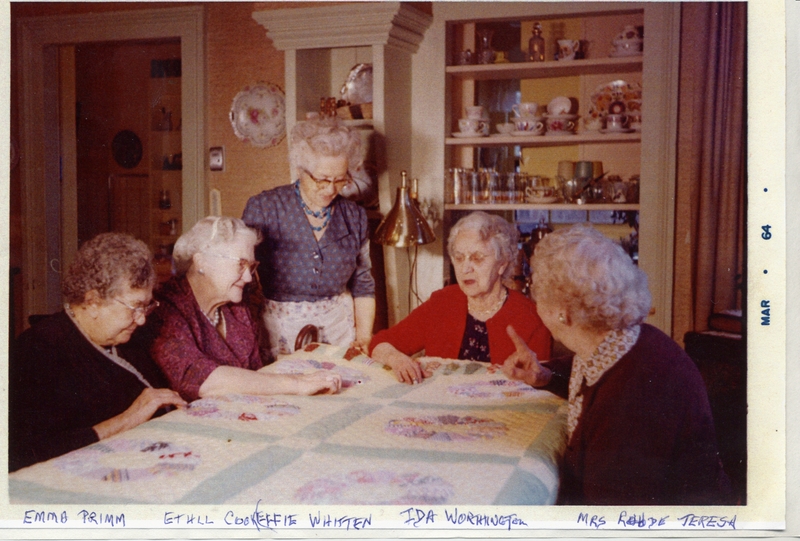 )[Written on front]: Emma Primm, Ethel Cook, Effie Whitten, Ida Worthington, Mrs. Rohde, Teresa. Mar 64. Physical Description H 5.25"" x W 7.25""